BRATTLEBORO—Town Manager Peter Elwell has recommended the Selectboard postpone its decision on the Windham Solid Waste Management District’s (WSWMD) fiscal year 2017 budget until its Dec. 15 meeting. Elwell’s recommendation, outlined in a Dec. 4 memo to the board, came after discussions among the board, town staff, and members of the WSWMD about the programs the district offers its 19-member towns. WSWMD operates under a legal structure similar to a municipality. The 19-member towns each pay an assessment to the district based on population. The assessments pay for a variety of programs, such as the recycling bins on Fairground Road and hazardous waste collection. Any resident from one of the 19 towns can take advantage of the district’s programs. The Selectboard raised concerns with the WSWMD’s budget and programs last year. At the Selecboard’s Dec. 1 meeting, Chair David Gartenstein asked why the town should pay into the district’s recycling program when the town uses tax monies to fund curbside pick-up of trash and recyclables. 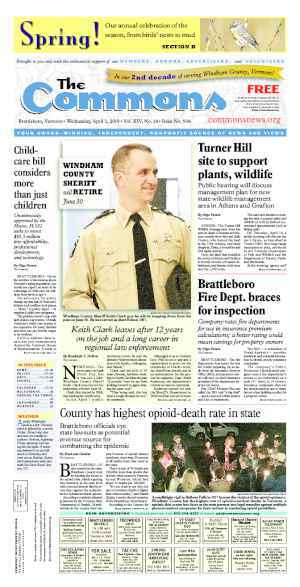 For Gartenstein, the assessment Brattleboro pays to the district echoes his concerns that Brattleboro suffers as a result of being an economic hub town in Windham County. “We wind up being the supporter of the regional economy,” he said. 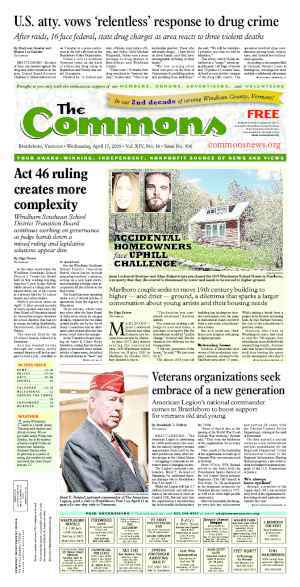 In that same meeting, Gartenstein noted that he hoped the state would broaden municipalities’ taxing authority so the whole region could pay for the services Brattleboro offers but only property owners finance. He suggested — if Brattleboro were allowed under state law — to enact a 0.25 percent income tax to fund specific projects in town. The Selectboard is also exploring making its own changes to its curbside pick-up program. If approved, recycling and organic waste would be picked up weekly. Trash would be picked up every other week. Gartenstein and fellow board members asked district representatives why Brattleboro should pay for the district’s recycling bins and some specific questions about the proposed budgets presented by the district at the board’s Dec. 1 meeting. Finally, the board asked that Elwell and Assistant Town Manager Patrick Moreland meet with the district’s leadership to hash out the board’s concerns. In his Dec. 4 memo, Elwell noted the board asked staff to reconcile budgets dated Nov. 10 and Nov. 12. The board also asked staff to explore with district leadership ending the district’s recycling program (including the recycling bins at Fairground Road). Elwell noted that the district’s budget deliberations have been going on since October. 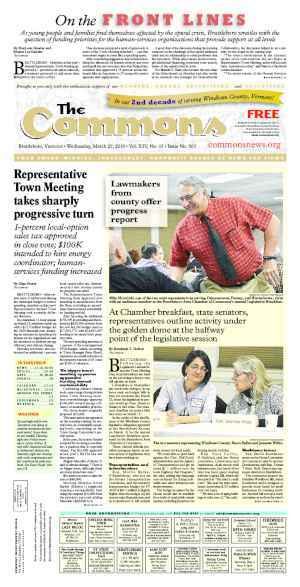 The district has recommended a budget that maintains its current programming while saving the member towns 11.5 percent on their assessments compared to fiscal year 2016 assessments. This 11.5 percent included the elimination of staff at the district. According to Elwell, the district’s finance committee held an emergency meeting Dec. 3 to consider the questions. The finance committee crunched the numbers and found that ending the recycling program reduced revenue by 60 percent or $272,422. The district sells its recyclables. This loss of revenue led to a net increase of towns’ assessments, wrote the finance committee members in a summary to Elwell. “Despite the disappointing results from the creation of the NO RC [no recycling] budget alternative, the two-and-one-half-hour discussion at the December 3rd emergency Finance Committee meeting was productive,” wrote Elwell. Elwell wrote that the discussion prompted the finance committee to agree to develop a fee-for-service model budget. Under this model, towns pick and choose the programs they want to use. “Implementation of a fee-for-service revenue model would provide transparency in allocating the cost of operations among the various services provided by the WSWMD and would allow Brattleboro and all other WSWMD members to make informed decisions regarding which of those services to ‘buy’ and which to eliminate,” Elwell wrote. Jan Ameen is the vice-chair of the WSWMD board of supervisors and representative to the district for Westminster. She spoke to The Commons on behalf of herself and not in an official capacity. She said she was sympathetic to the Selectboard’s quest to save money. “I understand every town, every budget cycle is looking for pennies,” Ameen said. 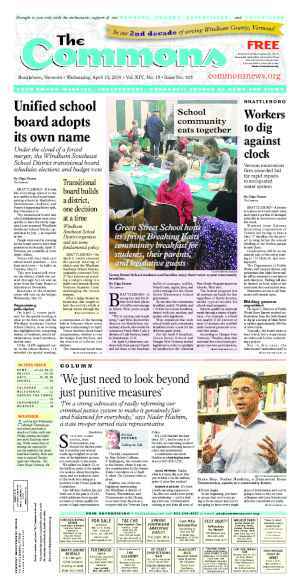 Ameen said it’s uncertain whether the finance committee will have time to complete a fee-for-service model budget for the district’s Dec. 10 fiscal year 2017 budget hearing. Numbers are still coming in on the fee-for-service budget, she said. At this early stage, she questioned whether the model would save towns as much money as expected. Ameen compared fee-for-service to charging homeowners for each time the fire department responds to a fire or accident. Or charging people every time the town sander goes past their house. Examining the costs of different programs — recycling, composting, education, hazardous waste collection, to name a few — individually may not be the best way to determine their value, Ameen said. A town might underuse one program while overusing another. Under the assessment model, these behaviors tend to balance out across the whole district. Ameen said she’s committed to exploring the fee-for-service budget. She added, however, that whatever kind of budget the district develops, it will have to be equitable for all 19-member towns. The district holds its budget hearing on Thursday, Dec. 10, at 6 p.m., at its offices on Old Ferry Road. The meeting is open to the public. Originally published in The Commons issue #335 (Wednesday, December 9, 2015). This story appeared on page D1.